So why go with the crowd? when Trip Adviser Algarve has Private Tours so much more fun and flexible? in the afternoon sunshine with locals under the shade of an ancient oak. Memorable. estate near Beja. A rare experience. nibbling croissants served you by a white-jacketed waiter. A fantasy perhaps ... but we make it real for you. A moment to treasure. at one of Algarve Golf Holidays 'special restaurants'. Typical Algarvean or gourmet, fish, seafood or sizzling steak, whatever your preference the result will be the same - mouthwateringly scrummy! realities of living here and explain the benefits and pitfalls of life in the region. Take time out to tickle your taste buds with tastings at a selection of the Algarve's most traditional gourmet food producers and learn the secrets of Ice Cream Making in Olhao, Olive Oil Pressing at Moncarapacho and Sea Salt Production near Tavira. Then finish your day with a Wine Tasting and fine dinner at one of Algarve Golf Holidays Special Restaurants. Tasty! delicacy imagineable, open out on to magnificent squares bathed in sunshine and basking in the baroque grandeur of this Renaissance city. Breathtaking. But whatever your choice, the convenient and relaxed way is to have your own driver and to set your own schedule. Visit Algarve Day Trips for a further selection of superb personalised Day Trips from Algarve Golf Holidays. 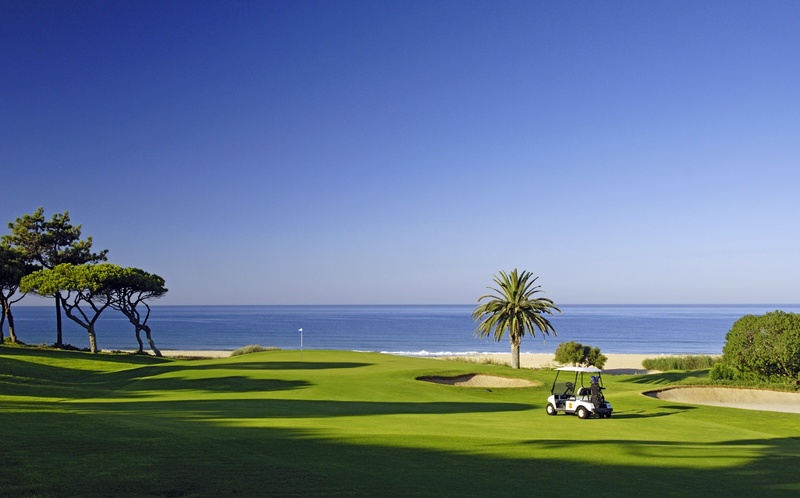 Algarve Golf Holidays is a trading style of Rotas Ancestrais Unipessoal Lda. Registered Travel Agent. Licensed in Portugal. "Since Tom took us for a romantic champagne breakfast on a secret beach in '03, family members and friends have holidayed with him two or three times every year. He knows places in the Algarve even the locals don't know. - Sue, Newcastle." For more client comments go to 'Happy Golfers' on the menu bar.